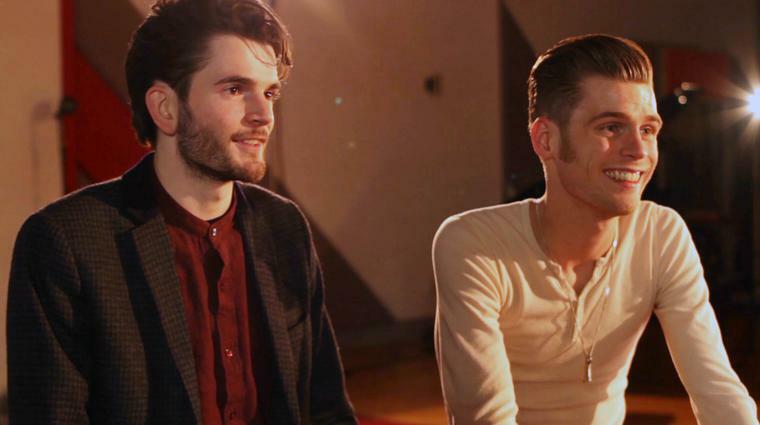 Barry Egan chats to Dublin brothers Harry and Alfie of Hudson Taylor about their journey from beachside buskers to band of brothers. 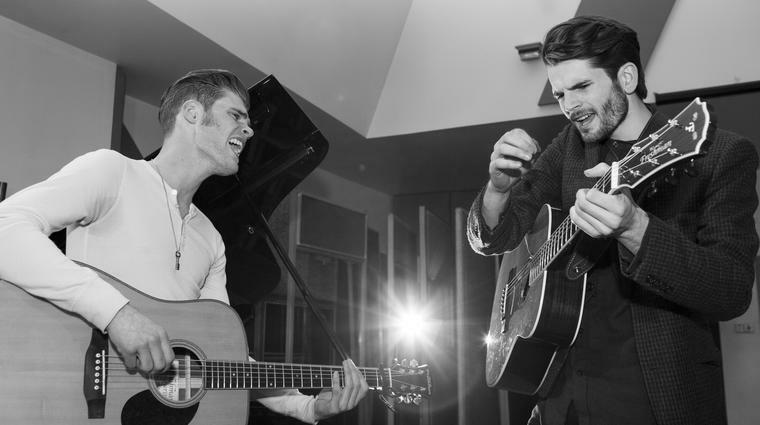 Dublin alt-pop duo Hudson Taylor’s reworking of AC/DC’s hard rock anthem Back In Black at the Windmill Lane Sessions on independent.ie is a joy to watch — albeit slightly surreal. Two young urchins deconstructing the Oz gods’ eardrum-denting alpha male piece de resistance into something altogether different. “You really took to it,” his older brother (by a year) Harry Hudson-Taylor says. 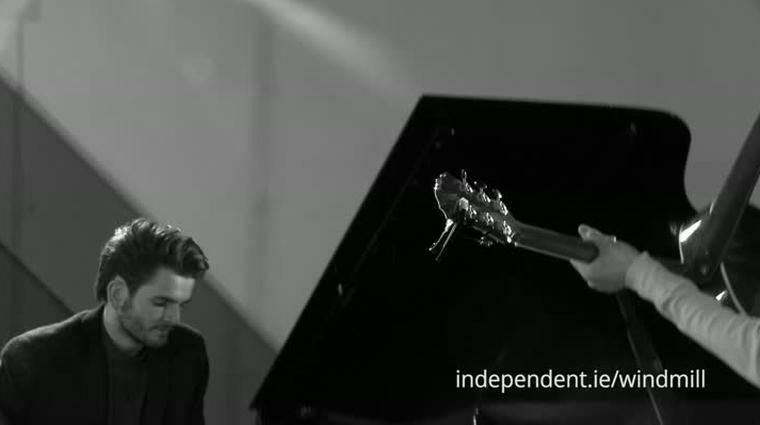 “Back In Black has such an amazing riff!” whoops Alfie as Harry joins in. 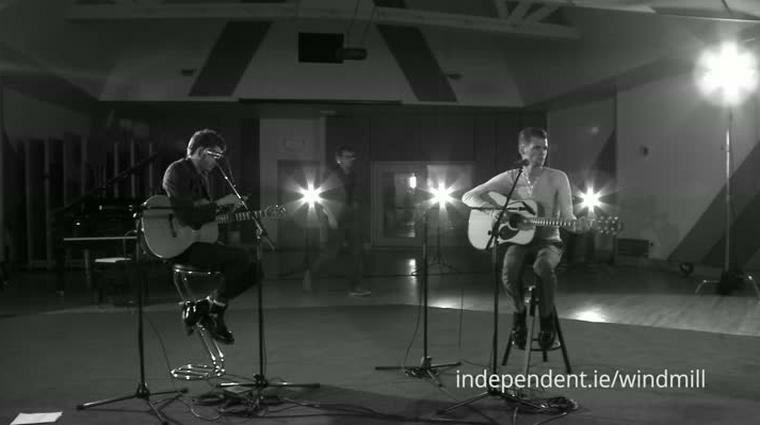 The brothers, who formed in 2011, are full of va-va-voom today in the world-famous studio in Ringsend, recalling the influences on their recently released debut album, Singing For Strangers. “We listened to a whole bunch of stuff growing up. Our parents had a lot of ‘greatest hits’ albums — everything from Simon and Garfunkel to the Beach Boys, the Everly Brothers to Fleetwood Mac. Just a lot of old 60s stuff,” explains Alfie, as Harry takes up the tale. “A lot of stuff with harmony — and that’s probably why we picked up on it; we sing a lot in harmony. The first gig I ever went to when I was 11 was The White Stripes. “It was before Seven Nation Army. So it wasn’t like everyone in the mainstream world knew who they were, that kind of thing,” Harry says in reference to his hipness and ability to be ahead of the cultural curve — even at such a tender age. And they did. They put up a video, which started gaining a bit of traction. Is that what the album is about — singing for strangers? “Pretty much!” they laugh in unison. I ask them to describe each other. “Alfie is a lovely gent,” begins Harry. “He has got a serious voice for singing, and a very good ability to make up melodies that I wouldn’t necessarily, because I think about things maybe a little bit more straight, musically; whereas Alfie will just pick something out of the air. Then we make harmonies and sweet music together,” he laughs.